As the NHL trade deadline on Tuesday draws closer and closer rumors are flying as to whom the Rangers might be bringing aboard and shipping out. 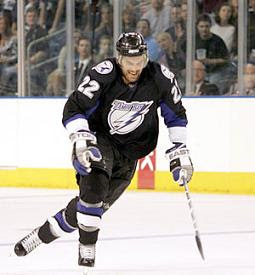 The most recent rumor has been that the Rangers are targeting Dan Boyle of the Tampa Bay Lightning. Boyle is in the final year of his contract and it is likely that any deal he signs will be worth about $6 million per season, which means he would probably only be a rental for the Rangers. Boyle also has a no-trade clause in his contract, although according to the NY Post, he is willing to waive that in order to become a Ranger. However Tampa Bay's preference seems to be that they would like to hold on to him, but salary cap restrictions mean they might not be able to afford him next season. If they can move Brad Richards, who makes $7.8 million over the next three years, expect Boyle to stay put. Another deal which might end up happening would involve the Rangers and the St. Louis Blues. The Blues have three-time ex-Ranger Martin Rucinsky, who the Rangers are interested in bringing back. This deal would likely involve Marek Malik, who is supposedly coveted by Blues GM John Davidson according to the NY Post. However it is unclear how a winger with just 14 points in 30 games would help the Rangers unless he was just part of a package of players. Which raises the issue that the Rangers are reluctant to move Malik without getting an additional defenseman somehow. That would mean another trade for a blue-liner or St. Louis including one in the deal. Someone like 26-year-old Barret Jackman, who will be an unrestricted free-agent at the end of the year, might of interest to the Rangers. Jackman is the type of hard hitting defenseman they sorely lack. 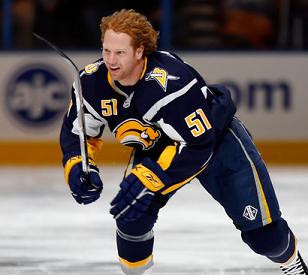 The Blueshirts have also made an offer to the Buffalo Sabres for offensive defenseman Brian Campbell according to the Toronto Sun. Campbell is another potential unrestricted free-agent on the lookout for a big contract this off-season. Because the Rangers are restricted on cap space and already need to resign Michal Rozsival, Campbell would likely only be a rental player, but one who could have a great effect on the Rangers' power play. There have been rumors that the Rangers are also interested in Bobby Holik, according to the Bergin Record. This move is a little unlikely, but would make sense on some level. Holik is a very defensive minded player which would fit into Tom Renney's scheme pretty well and he may be able to jump start the offense of Jaromir Jagr if given the opportunity. The Rangers could be even more inclined to deal with Holik's team, the Atlanta Thrashers, if Marian Hossa were involved in a deal. Although it is unlikely the Rangers would meet the asking price to make a move on the good Hossa. Other names being tossed around are Tomas Kaberle of the Toronto Maple Leafs. According to the NY Post he would be willing to waive his no-trade clause to come to New York, but because of his affordable $4.25 million contact over three years Toronto will likely want to hang on to him. The theme which all of these rumors have in common is that the Rangers must be cap-conscious when dealing. This means that even though they might be able to pull off a move they have to keep in mind that a lot of these players will probably only be rentals and not return next season. This will make them hesitant to make the best offers for these players. Also the two areas they are likely to address are either on defense - where they could use any strong blueliner whether he be offensive- or defensive-minded - or upfront where they would like to add someone who could help Jagr or take his place as the top scoring forward. For more news NY sports go to Hot Stove New York.